Some of his romantic entertainers ended up massive hits after which he turned out to try mass movies with a huge dose of action. His last action dramas Force, Shootout at Wadala and Madras Cafe turned out to be money spinners at the box-office. He later turned producer and produced super hit movies like Vicky Donor and Madras Cafe. Though John Abraham and Nishikant planned to come out with the second installment of Force, a story narrated by Ritesh Shah impressed the duo and John stepped ahead to produce the movie. Shruti Haasan played the female lead in the movie and Nishikant Kamat, Sharad Kelkar, Nathalia Kaur, Diya Chalwad and Zubair Nazie played the other important roles in the movie which has been titled as Rocky Handsome. Diya, a seven-year-old girl played a crucial role in the movie and the movie has been shot in Hyderabad, Goa, Mumbai and in some eastern parts of India. Rocky Handsome has been made on a budget of Rs 60 crores which has been produced by John Abraham. Rocky Handsome is an adaptation of a Korean movie The Man from Nowhere. John Abraham pinned huge hopes on the movie which is gearing up for a massive release. 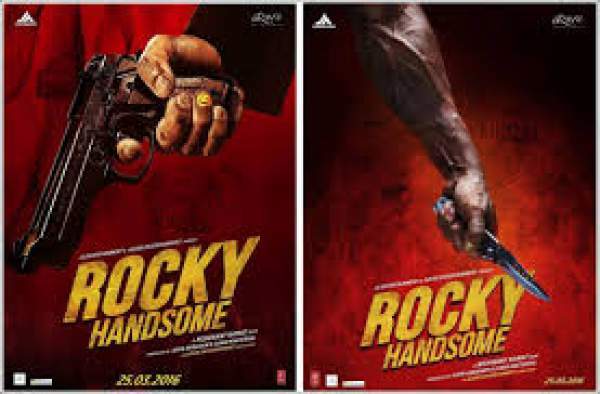 The theatrical trailer of Rocky Handsome has been released recently which has been packed with loads of action. John Abraham’s presence and his terrific body are the major highlight of the film. The 3:05 minutes trailer has been packed with high voltage action episodes right from the first frame. The romantic track between John Abraham and Shruti Haasan has been soothing. The movie is a struggle of John Abraham to protect a child fighting with mafia goons. Sunir Khetrapal and John Abraham produced the movie on John Abraham Entertainments along with Azure Entertainments banner. Sunny Bawra and Inder Bawra composed the music and the audio of Rocky Handsome is already a huge hit. Made on a budget of Rs 60 crores, Rocky Handsome is all set to hit the screens on March 25th across the world.